The effect of "good" cholesterol on cardiovascular disease may be more complicated than previously thought, according to a new analysis. The finding raises questions about how best to lower heart disease risk. Cholesterol has many important functions in the body. In the bloodstream, it's transported in several forms that include low-density lipoprotein (LDL) and high-density lipoprotein (HDL). When there's too much cholesterol in your blood, the cholesterol from LDL can increase your risk for developing cardiovascular diseases such as heart attack and stroke. Higher levels of HDL, in contrast, have been associated with a lower risk of cardiovascular disease. However, while treatment trials have shown that lowering LDL reduces the risk of heart disease, recent clinical trials haven't found that medicines aimed at raising HDL reduce the risk of heart attack. A team led by Dr. Sekar Kathiresan of Massachusetts General Hospital, Broad Institute and Harvard Medical School explored the relationship between HDL and heart disease using an approach called Mendelian randomization. If HDL is directly involved in heart disease, then inherited genetic variations that affect HDL levels should affect the risk of disease. Previous genome-wide association studies uncovered several genetic variations (single-nucleotide polymorphisms, or SNPs) that affect blood HDL cholesterol levels. The researchers tested whether these SNPs affect the risk of heart attack. The scientists first identified a SNP (LIPG 396Ser) that raises blood plasma HDL cholesterol levels without changing other known risk factors. They tested this variant using data from 20 studies involving nearly 21,000 heart attack cases and over 95,000 controls. They also designed a genetic risk score using a panel of 14 common SNPs associated with HDL cholesterol. They tested this score in nearly 12,500 cases of myocardial infarction and over 41,000 controls. For comparison, they tested a genetic risk score built from 13 common SNPs associated with LDL cholesterol levels. The study was partly supported by NIH's National Heart, Lung and Blood Institute (NHLBI). 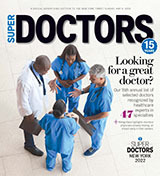 Results appeared in the online early edition of the Lancet on May 17, 2012. The team confirmed that carriers of the LIPG 396Ser allele had higher HDL cholesterol than non-carriers but similar levels of other risk factors. Models based on previous observational studies predict that this difference in HDL cholesterol would decrease the risk of heart attack by 13%. Surprisingly, the researchers found that carriers of the HDL-boosting variant had the same risk for heart attack as non-carriers. The increase in HDL cholesterol linked to the genetic risk score wasn't associated with a lower risk of heart attack either. In contrast, the genetic score for LDL cholesterol accurately predicted heart attack risk. "These results show that some ways of raising HDL cholesterol might not reduce risk of myocardial infarction [heart attack] in human beings." Kathiresan says. "Therefore, if an intervention such as a drug raises HDL cholesterol, we cannot automatically assume that risk of myocardial infarction will be reduced." Clinical trials are now underway to examine the cardiovascular benefits and risks of drug treatments that raise HDL levels. Future studies will be needed to understand both the role of HDL cholesterol and why its levels are associated with heart disease risk. It's possible that HDL itself may not directly lower the risk of heart disease but that blood HDL reflects another factor that does.